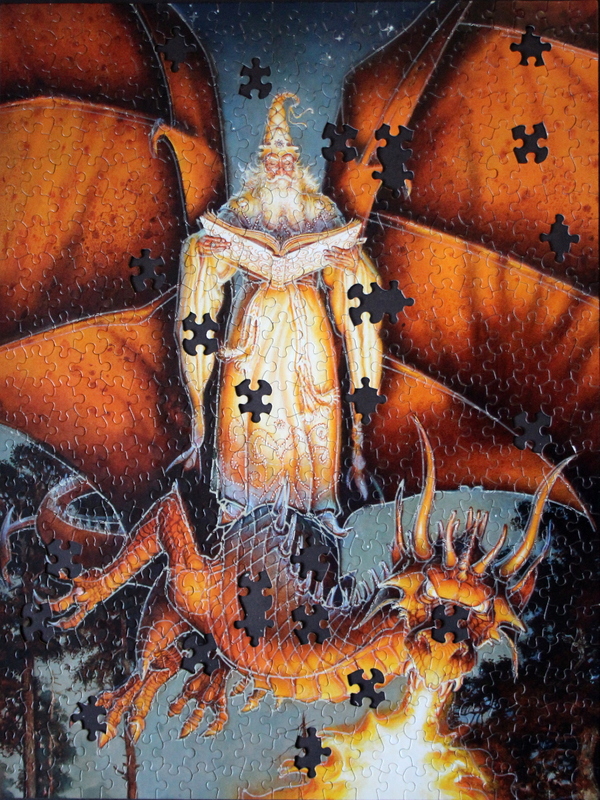 Puzzle: From the same series as Prisoner, this is a lovely colourful puzzle – a pleasure to do. 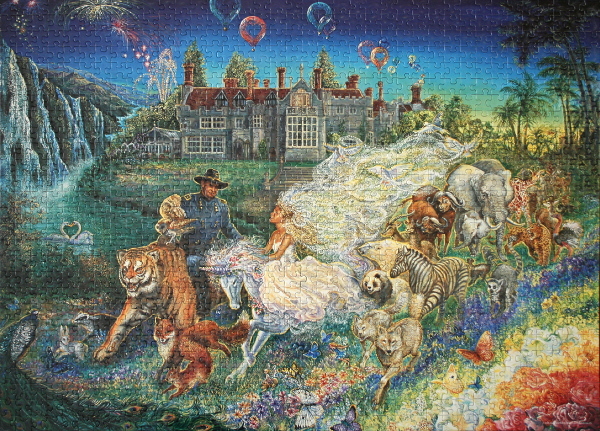 The best places to start are the skin (face, neck, and hands), the moon, orange and yellow regions (tiger, light, window and gates), brown carriage near the moon and white carriage with a pegasus in the middle right, red dress and cape, castle roof and sky boundary, and the carriage in the bottom left. 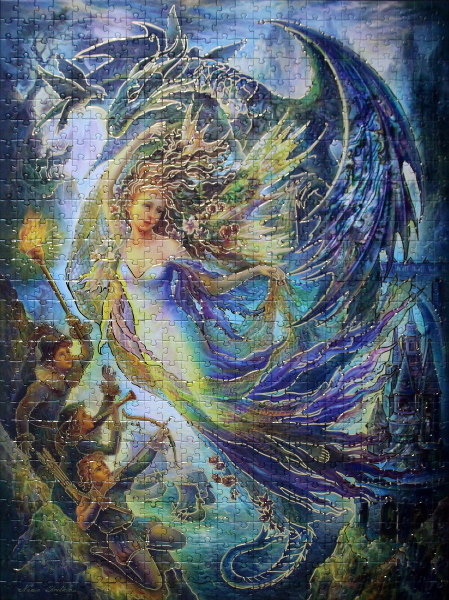 The darker colours at the bottom, the blue hues of the castle, the swirling mist, and darker blue and black of the top corners can come next. The colourful pieces of dress, trees, and remaining regions can then complete the picture. 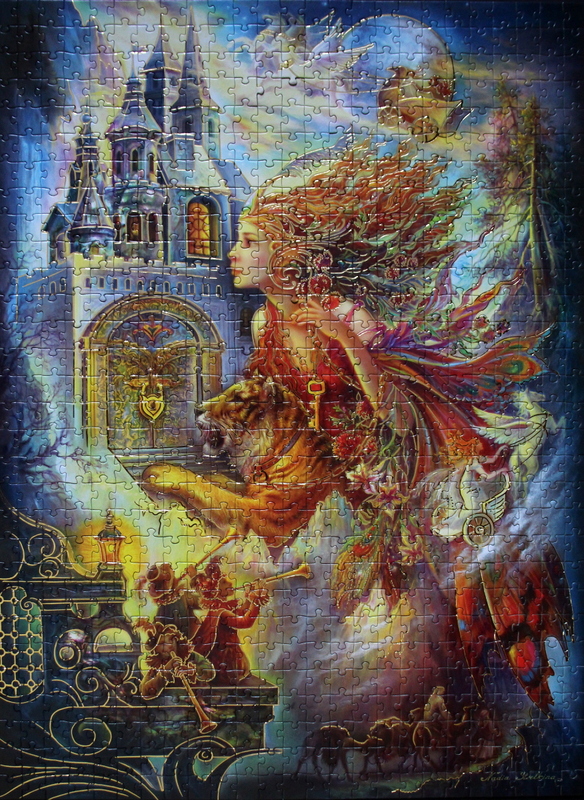 This puzzle has larger pieces and golden highlights. 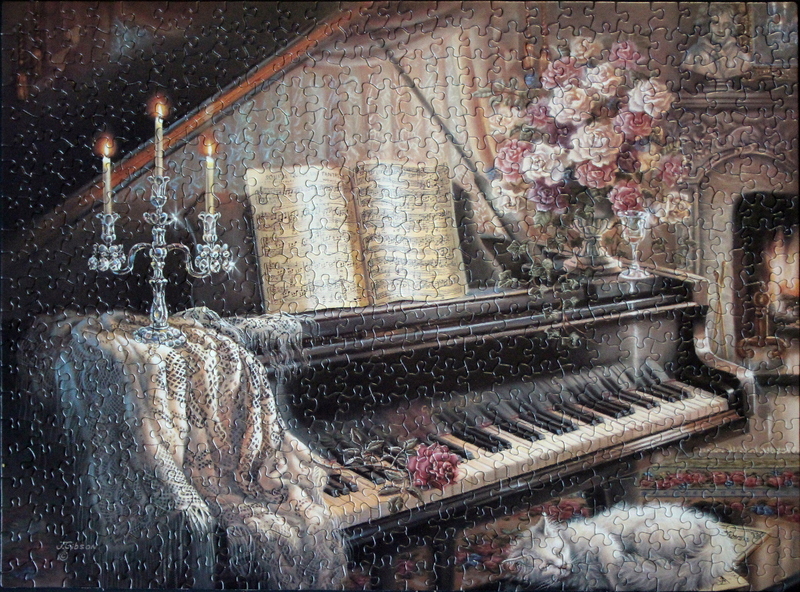 Puzzle: A beautiful painting, this puzzle would be very pleasant if the makers had left out the “magic effects” of the shiny pieces that change hue based on the viewing angle, and had focused instead on the cut of the pieces. 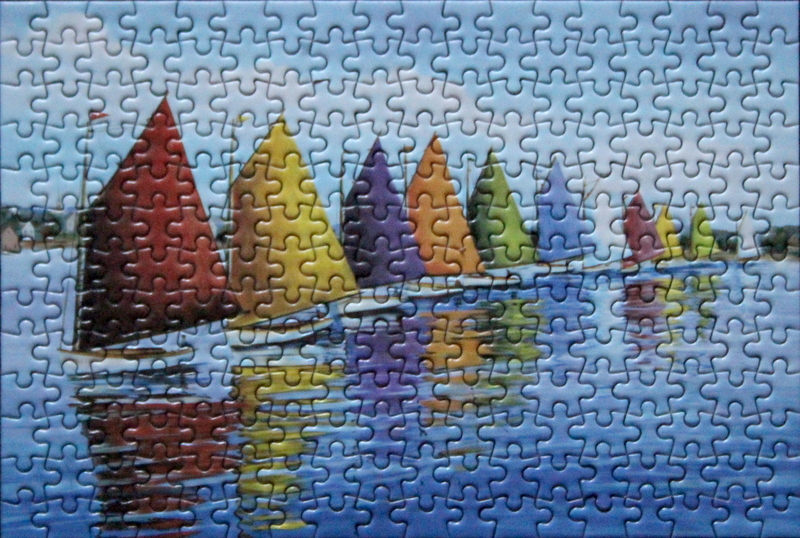 Not only does the shine make it hard to assemble this puzzle in anything but perfect bright daylight, it is not completely clear when the two pieces fit together, introducing a chance of error, especially in the uniformly-coloured regions such as the sky and the sea. Thus, I do recommend bright daylight. 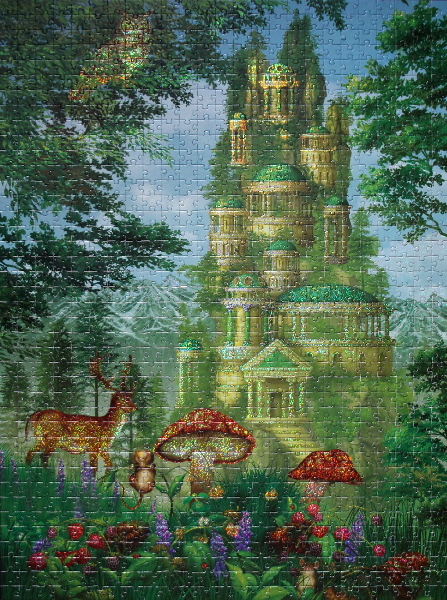 The puzzle is small which does help make it more manageable. One can start from the flags and the flag poles, setting up two vertical guides and separating the top of the picture into thirds. 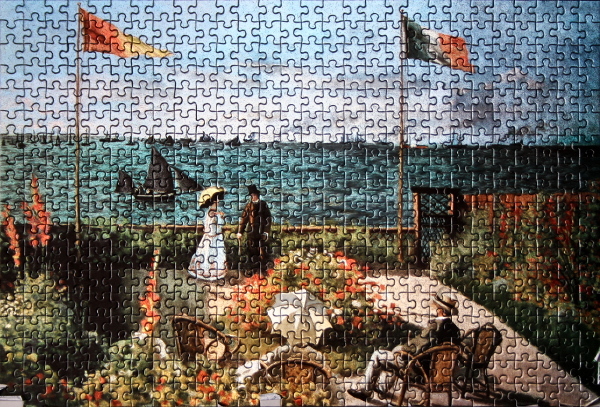 The horizontal guides of sea and sky, and sea and railing, once assembled, are also helpful. 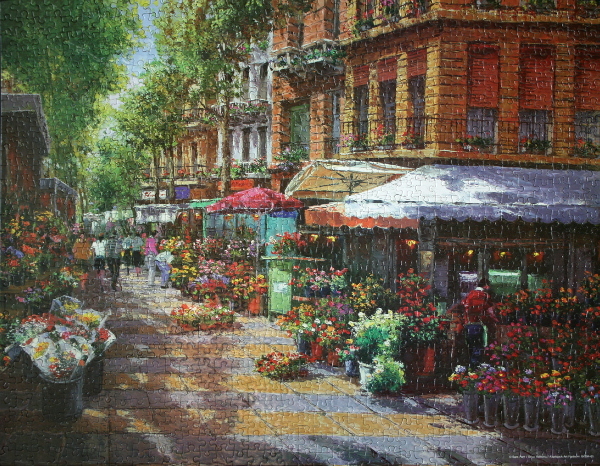 Bright spots such as umbrellas, the red fence, the stone underfoot, and the vibrant flowers can be completed next. The black of the larger ship, people’s figures, the red fence, and dark green grass along the stone border are relatively easy as well. I would suggest leaving the sky until the end. Notes: “The “Magic Effects” line is alluring and sure to captivate you. It interfuses charm, art, emotion and illusion into one beautiful component. What begins as an etching rich in detail evolves to a colorful metallic surface that shimmers and shines. The image casts itself differently in every light. Warren Industries is proud to present a wide array of new artwork in this collection. 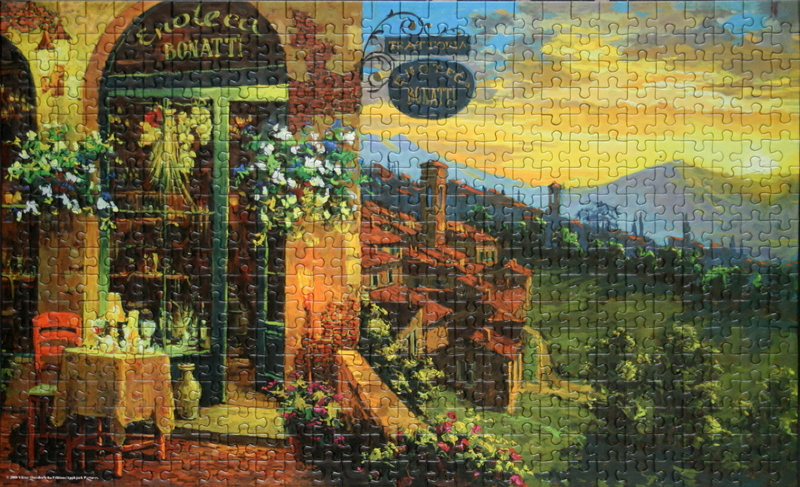 Puzzle: A romantic view, this foam puzzle is very serene and a pleasure to assemble. This is another painting by Sung Kim, in addition to the 1000-piece one of Overlook Cafe. 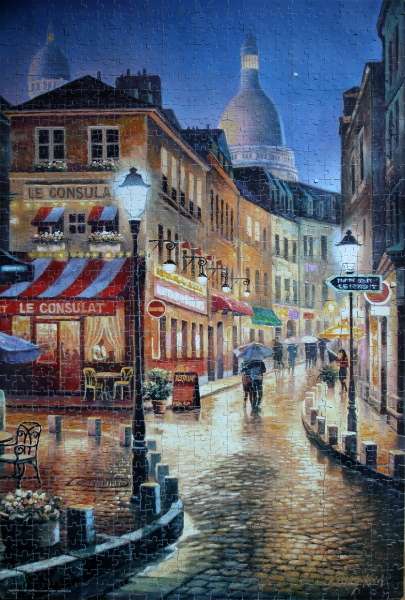 Le consulat building, the domes in the background, the sky, and the pavement borders are good places to start. The smaller areas of colour: the people, the street signs, the street lamps, the building windows, and the chairs can be filled in, leaving the house walls and the pavements to be completed last. 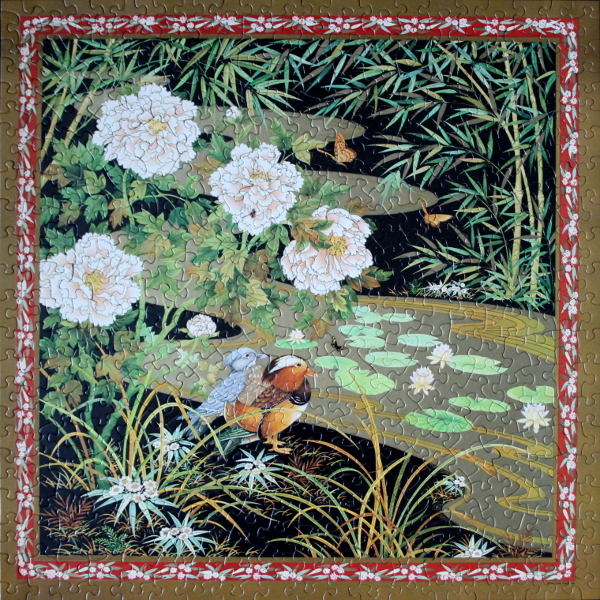 Artist: John Powell has worked in the arts through out his life. Born in Hollywood, California, he began to paint at the age of 16. 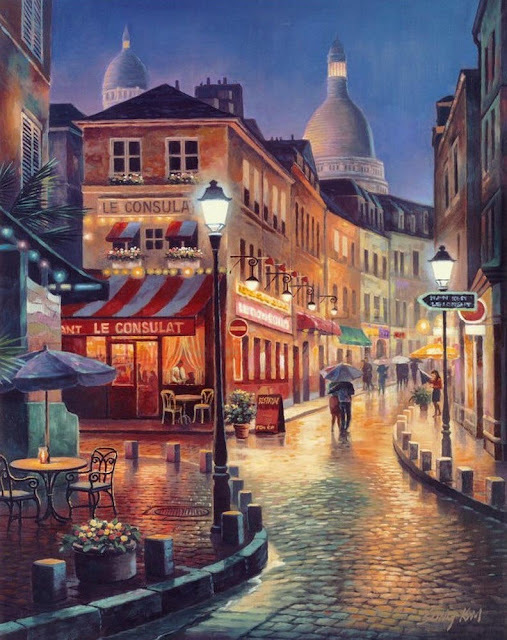 Over the past 35 years he has melded his life experiences into a signature style of painting. 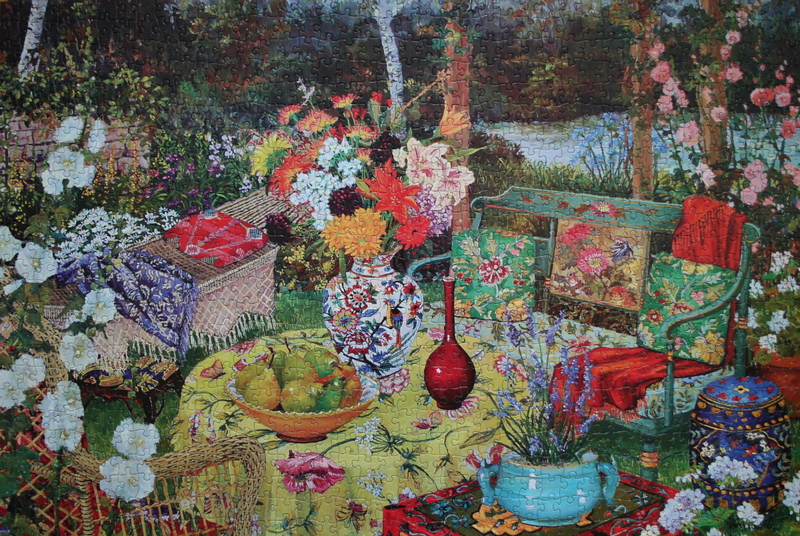 His paintings are precise and intricate, laced with lyrical realism and expressing his love for color, flowers, gardens, pottery and art from around the world, interesting fabrics and visions of his travels. Puzzle: Beautifully-complex puzzle with many colourful regions. There are many ways to approach it: some of the easier parts to assemble first are the turquoise flower pot, the blue box in the bottom right, the red cloth draped over the bench, the checkered rose tablecloth, the pears and their bowl, the large and smaller red vases, the yellow flowered tablecloth, the bottom left corner, the flowers in the vases, and the river in the background. 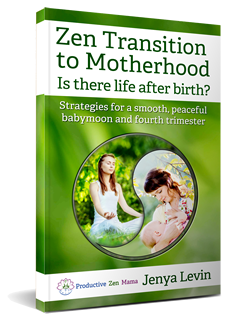 There are many other smaller distinct regions that can then be positioned in place. 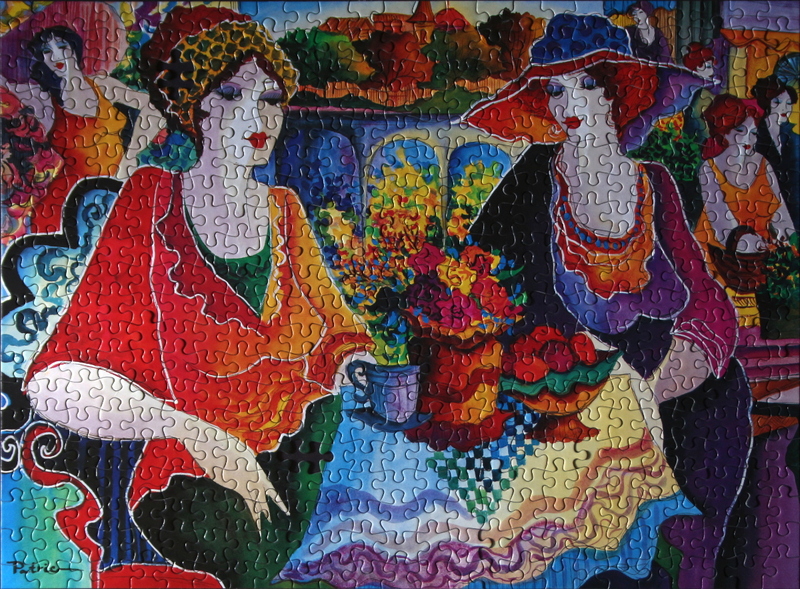 Puzzle: Beatutiful puzzle in vibrant colours with many distinct regions – a pleasure to do. Good starting points are the sunlit sky and water, the birds, the horizon line and the water: since there are many horizontally-separated water colour regions, that part is a breeze. The house, the bright lantern with surrounding grass, the birch tree, the boat and the dock allow the rest of the pieces fall into place. 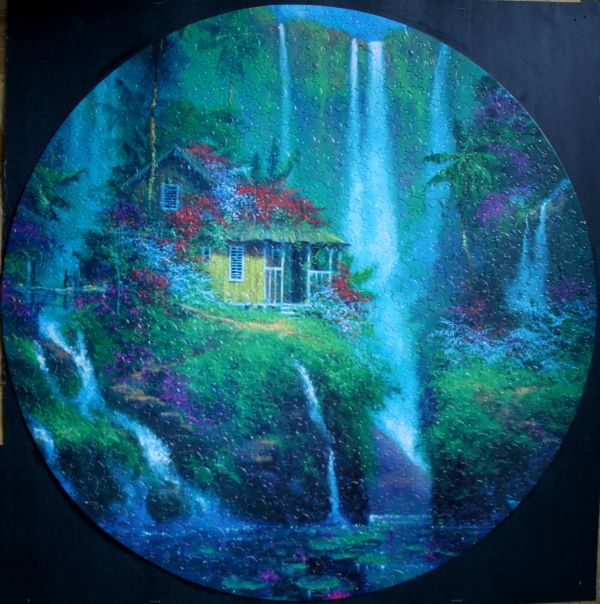 Artist: Darrell Bush – Awared-winning artist Darrell Bush brilliantly captures the unspoiled, simple beauty of the outdoors. 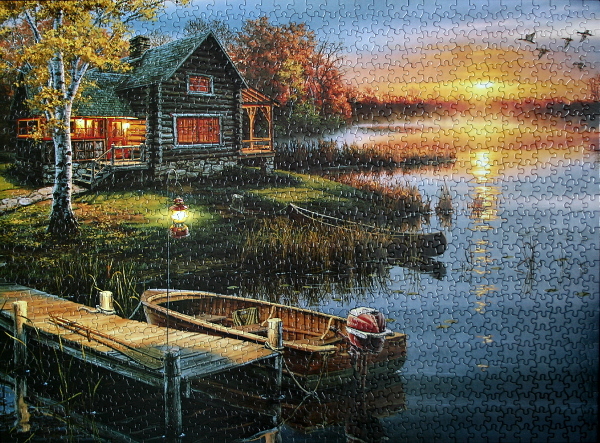 From a North Woods campsite to a polished wooden runabout resting on a quiet lake, Bush’s acrylics suggest that these peaceful settings are only a memory away. He familiarizes the viewer with outdoor and wildlife subjects while often adding a touch of nostalgia. 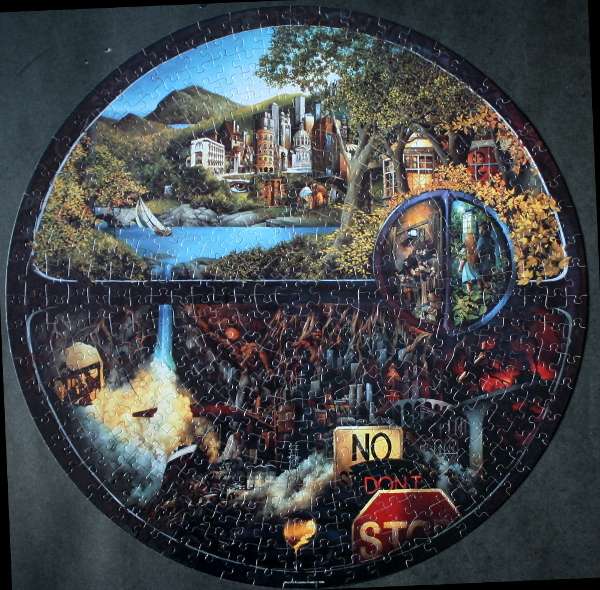 In 1984,after graduating with a Bachelor of Fine Arts degree in commercial art from Northern Illinois University, Bush moved to Minnesota and worked as a commercial illustrator for five years. “It was during this time I began pursuing a second career, my true love, wildlife art,” he said. In 1987, he won his first major award, the Idaho Uploand Game Stamp Competition. 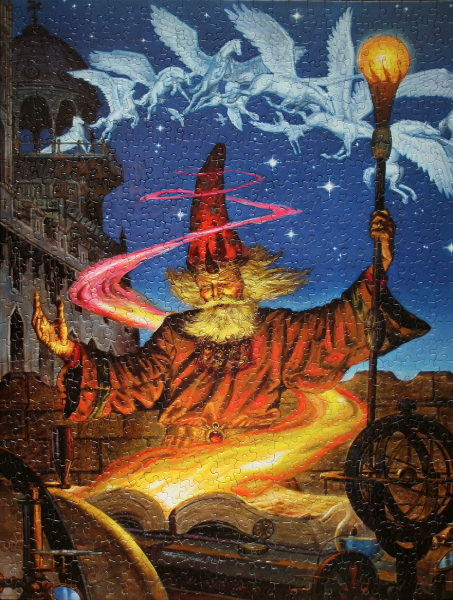 In 1990, he became a full-time artist and one year later signed with Hadley House. Since then, Bush’s success has escalated dramatically. 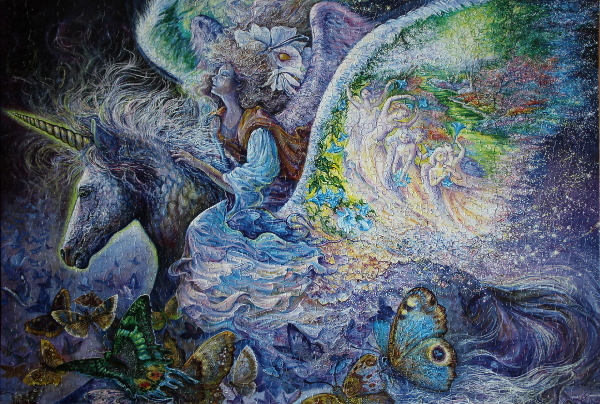 He received international recognition when he was chosen for the September, 1996 “Wonders of Nature” exhibit in Hong Kong. 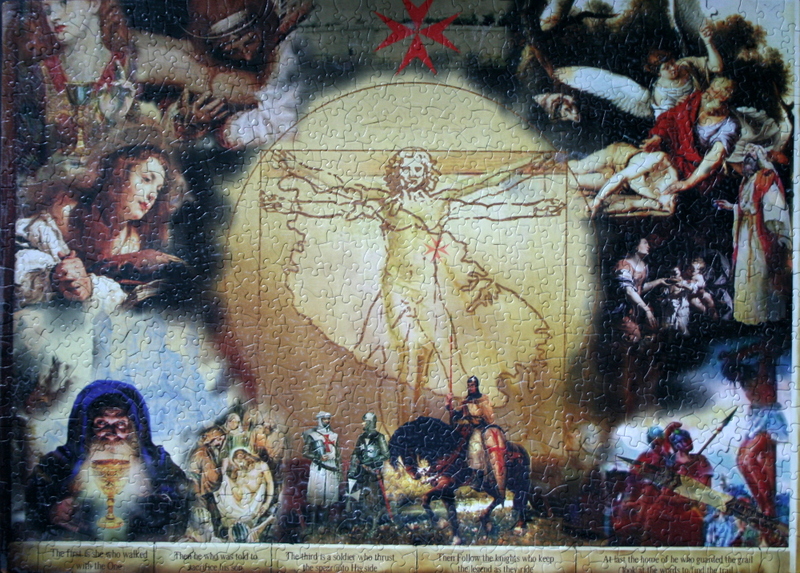 U.S.ART named him among America’s Most Popular Artists in 1995, 1996 and 1998. By the same artist the other puzzles available in the series are: “Crescent Moon Bay”, “The End of a Perfect Day“, “Twilight Calm”.